A delightful gift of Valdobbiadene Prosecco Superiore D.O.C.G. 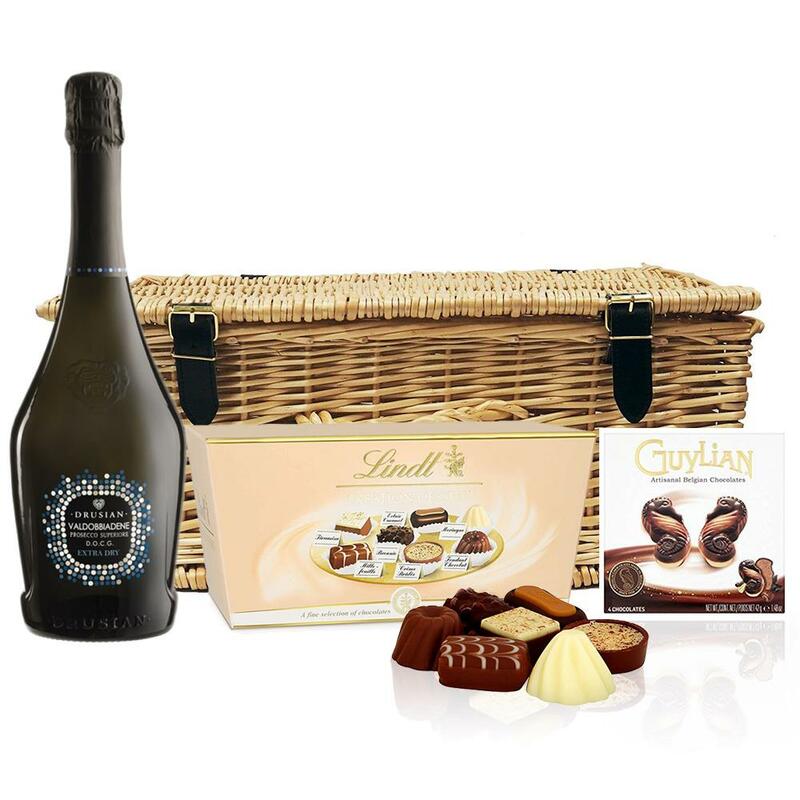 Spumante along with a Guylian Artisanal Belgian Chocolate Hearts 42g and Belgid'Or Fine Belgin Choclates (175g) all packed in a wicker hamper with leather straps lined with wood wool. All gifts come with a gift card with a message of your choice.